Yo-yos were first invented back in ancient Greece over 2500 years ago, and made globally popular back in the 1920s when it was introduced to the United States. During the late 1700s until the early 1920s the yo-yo had a number of different names, with the common word Yo-Yo coming from the Philippines meaning “come-come”. At Flames ‘n’ Games we offer one of the widest range of yo-yos on the market. 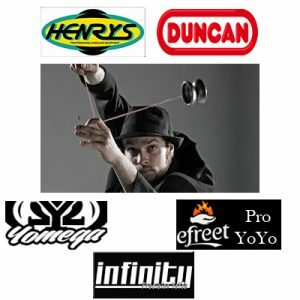 For all our yo-yo brands such as DUNCAN, we sell replacement STRING and of course a great variety of BOOKS AND DVDS. From the standard beginner yo-yos up to our most advanced products, we have a yo-yo to suit every budget and ability. 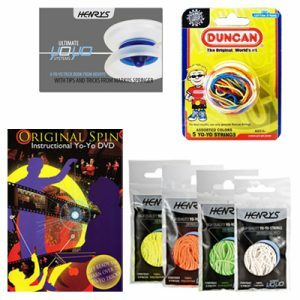 Take a look at our HENRYS yo-yos which also include a FREE book full of tips and tricks to get your started. 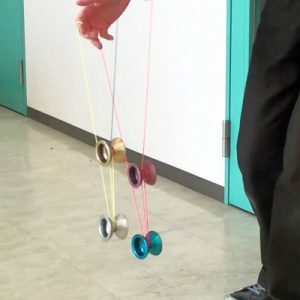 From what was possibly one of the coolest school crazes ever, the yo-yo can be mastered into a huge array of neat tricks and will always leave you wondering what you can do next!